Thank you Danett! I was obsessed for sure! 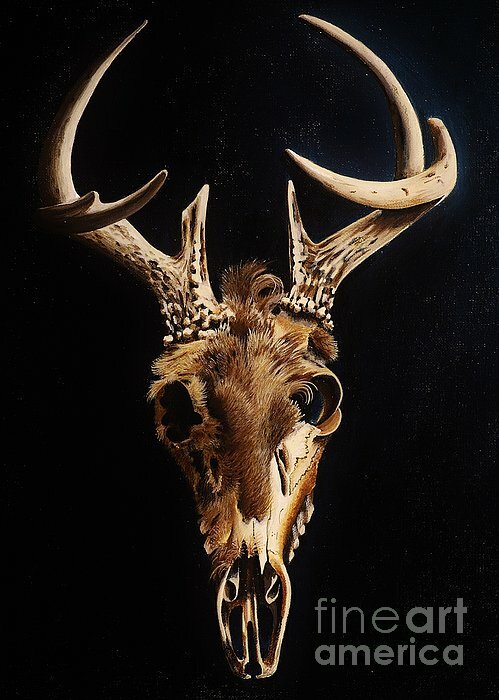 Thank you to the buyer from Omaha, Nebraska for the purchase of the original painting of "Deer Skull." You are a "Real Dear!" What a surprise John! Thank you for featuring Deer Skull!! A most excellent, striking and powerful image. 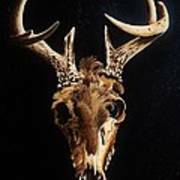 It evokes the times of ancient hunters and their mystical rituals to prepare for the hunt; and on their success to show their respect by thanking the animal for their sacrifices. Thank you Hartmut !! Much appreciated for your compliment!! Wow, this is just wonderful! My favorite artwork for today 24-09-2012 in the group Female Artists - Creative Women!... A very good management of light and color!! This make me remember a painting made by Georgia O'Keefe with the same subject. Thank you Much Madalena!! Feature accepted!! Thank you Jeffrey! Keep painting! Great humor! Thank you Richard! Your observation is pretty acurate. I always admired Georgia's skull paintings..at first I thouht I would do something like that. The real skull was so intriging I tried to do what was in front of me. Thank you for favoriting, much appreciated!! This is cool. The fur left on the skull really adds to creepyness! Love it. Wonderful work ..All the best. 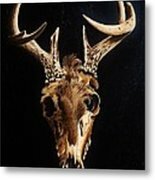 Deer Skull Original Acrylic Painting A real deer skull with fur on it. Interesting study of life, death, texture. By Joy Bradley DiNardo Designs FEATURED IN: Disturbing Art Group Thought Provoking Art Group Anything Goes Group 4 Legged Friends Group Obsessed Painters Paintings Group Out Of The Ordinary 1 A Day Group Acrylic on canvas board. Original Sold! All rights reserved.